Vima Lupwa Homes: "Calling for Bras and Undies"
All colors, sizes, materials, you name it- we want it! In an effort to assist self empowerment of the local women of Mikomfwa, one goal of VLH (Vima Lupwa Homes) is to assist starting up businesses with microloans (of money or goods). We were recently approached with a unique, creative, easy and inexpensive idea of setting up a small business at the local market, where there is a need for women's undergarments - this would make a very successful business. We thought "Why not have a undie campaign?" So please ladies, check your closets and drawers, then send or bring any clean and functional extras, if possible by July. Also, please remember our garage sale is tomorrow at 440 NW Congress St, Bend from 8:30-3:30. At this time we are also collecting art supplies, medical gloves, toothpaste, bandaids, medical tape (for the local clinic) and bicycle gear (for our bike shop). 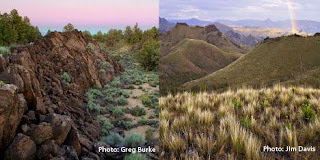 Oregon Natural Desert Association Reminder! 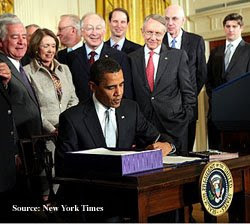 After decades of work by volunteers, local businesses, ONDA, the Friends of the Badlands, the Oregon Congressional Delegation and wilderness supporters throughout Oregon and beyond, President Obama signed the Public Lands Management Act on March 30th, finally protecting The Oregon Badlands and Spring Basin as Wilderness. Come celebrate this historic victory with us! 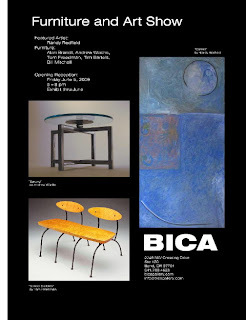 Suggested donation $5, donate online or at the door. 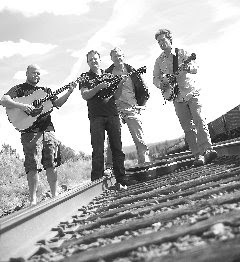 Local favorites, rootsy stringband Blackstrap kick off a new live music concert series on the bank of the Deschutes River, the Pickin’ & Paddlin’ Music Series. Beginning Wednesday, June 24 and continuing the last Wednesday of July and August, Pickin’ & Paddlin’ features live music from 7:00 to 9:00pm, as well as the chance to try kayaks, canoes, paddles and other gear on the Deschutes River. Admission is free, and the whole family is welcome. Donations to the Bend Paddle Trail Alliance are encouraged, and Silver Moon Brewing's new Epic Trail Ale will be available for adult consumption (proceeds to BPTA). From 4:00 to 7:00pm, representatives from top paddle sports companies such as Eddyline Kayaks, Esquif Canoes, Swift Paddles, Bending Branches and Aquabound Paddles will will be available for free demos and to answer questions. Alder Creek Kayak and Canoe’s fleet of 50 demo boats will also be available, with staff on hand to help. The Pickin’ & Paddlin’ Music Series is hosted by Alder Creek Kayak & Canoe, in Bend at 805 SW Industrial Way # 6 (on the Deschutes at the foot of the Colorado Ave. Bridge). Please call 541-317-9407 for details. Fish advocates applauded a federal judge's decision yesterday to protect native steelhead trout in the John Day River Basin. The court order temporarily halts cattle grazing within important native trout streams in eastern Oregon's Malheur National Forest. This latest round of the decade-long litigation targets, as the court put it, "repeated failures" by the Forest Service to address grazing impacts to fish habitat. The steelhead, an iconic Pacific Northwest native trout, is listed under the Endangered Species Act as a "threatened" species in danger of extinction. 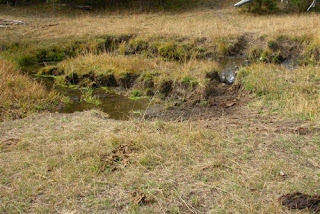 In this order, the court suspended grazing until the Forest Service complies with a series of promised mitigation and monitoring measures intended to ensure against further damage to fish habitat this summer. The protective measures cover 330,000 acres and 235 miles of streams on the forest. The court also indicated it would stop grazing mid-season if the Forest Service failed to comply with the order. In the ruling, Judge Haggerty states, "The time has come for the Forest Service to adaptively manage these allotments in response to conditions on the ground rather than in reaction to this court's rulings." "Sadly, Forest Service negligence and mismanagement is driving the steelhead toward extinction rather than recovery," Fenty said. "These streams will take time to recover but this decision ensures that the Forest Service must abide by its own rules and regulations and that steelhead will be conserved for current and future generations." After several years of monitoring chronic overgrazing on the Malheur National Forest, ONDA filed the first of several cases against the Forest Service in 2003. In 2006, a federal judge in Portland ruled that the agencies' grazing plan violated the Endangered Species Act. In 2007, the agencies issued a new grazing plan to guide grazing throughout the forest. Because the plan actually increased grazing levels and weakened the Forest Service's ability to enforce its own ecological health standards, ONDA challenged the plan in December 2007. The Malheur National Forest is located in eastern Oregon's Blue Mountains. It includes portions of the Upper John Day, Middle Fork John Day, North Fork John Day, and Malheur Rivers. The John Day River is one of the longest undammed rivers in the continental United States. The river and its hundreds of miles of tributary streams on the Malheur National Forest provide spawning, rearing and migratory habitat for the largest native stock of wild steelhead remaining in the Columbia River Basin. For more information on this case CLICK HERE. 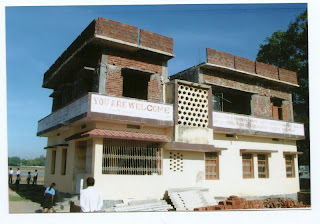 Just a quick update of the progress of the Rise Up school in India. regard to social caste or religious background. 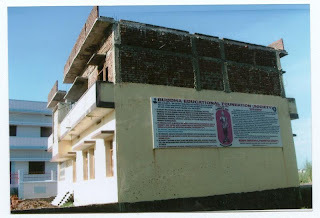 school for nine orphan boys! India event this fall, details soon to follow. again and have a great summer! Racers will be starting at 8 am. They will head up Phil's to road 300 and over to Ben's. They will come down Ben's to MTB to Kent's to the Finish. Expect racers on those trails until about 12. If you can avoid them during those times please do. Unless you're going out to cheer them on! Annual fund raising Garage Sale for children's home in Zambia. will take only 500 dollars to make this possible! drop them off at 440 NW Congress Street downtown Bend (site of sale) . and finally, of course, we hope to have lots of people buying!! !